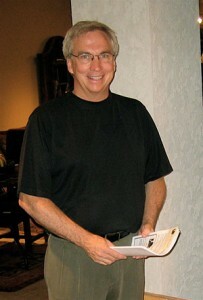 In 2005, Mark Nordgren founded Bella Faux Finishes in Sioux Falls, South Dakota. Our goal: to create a company with the most skillful artisans to provide the best decorative finishes, interior painting and wallpapering services in the Midwest and beyond. 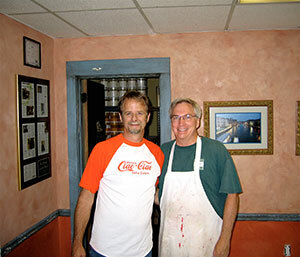 Together with sons David Nordgren and Michael Nordgren, Mark has worked tirelessly to make Bella Faux Finishes the industry-leader in the application of imported Venetian Plaster, as well as Italian Finishes and New Faux Finishes. Because of our growth and future goals, we feel that the timing is now optimal for the transformation of our website, blog and logo. The changes you will experience on our site are a direct reflection of our efforts to make your web experience as easy and stress-free as possible. While exploring our site, feel free to browse through the recently added information about our innovations on the home design front, including those involving our decorative finishes, interior painting and wallpapering services. Our new website also features a photo gallery to allow you to browse through our large assortment of interior design projects and watch accompanying videos. You can also fill out the attached contact form to receive access to our free newsletter. Before you can appreciate what decorative finishes have become, you must first have a firm understanding of how it all began. 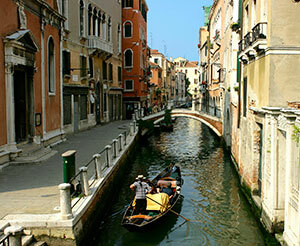 From the first time our owner and co-founder laid eyes on true Venetian plaster, he fell in love. His thoughts at that moment? Where does this plaster come from and what is its history? How can a lime plaster finish still be on the walls and ceilings in Italy and Europe for over 500 years? 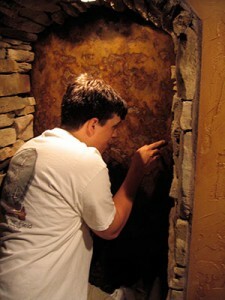 His newfound passion led him to learn more about Venetian plaster through his attendance of “The School of Italian Plasters” in 2005. He and his sons are among a few artisans in the states who have been trained and certified in the application of the historic Italian plaster finishes from Italy. In becoming a trained artisan of Venetian plaster, you must understand the chemistry of the lime plasters and how they interact with various substrates. Just as important is the timing of your placement of each layer of plaster to re-create the same marble venetian plaster finish, as the Italian Master Artisans of the 1500’s. 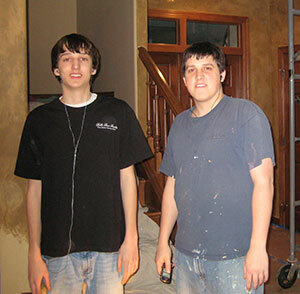 After attending school, Mark and his sons spent nearly a year working in their studio, practicing and learning how to correctly trowel on Venetian plaster and Italian finishes. The work is worth the effort. If all goes as planned, you will be left with the perfect Venetian plaster wall with no trowel marks. It will feel smooth and cool to the touch, just like real marble. A breathtaking finish! Over the years, the artisan trio has attended many art school programs in order to advance their abilities on all of the finishes they provide. As we continue to grow, we hope to partner with companies worldwide to bring unique plasters and finishes to the Sioux Falls, SD and beyond. Follow our blog and subscribe to our newsletter to be among the first few to view them online! Experience the Bella Faux Difference! It’s true. 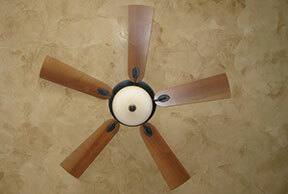 We can talk forever about our decorative finishes. We truly love what it is we do and are always honored to be given the opportunity to create the final layer of effect on a project — a responsibility we do not take lightly. While our site features service testimonials that speak to this effect, we encourage you to find out firsthand why we are Sioux Falls’ and the greater Midwest’s top choice for decorative finishes, interior painting and wallpapering. Contact us today to arrange a free, no-obligation consultation and experience for yourself the difference of Bella Faux Finishes!! !